Need to keep the kids entertained this summer holiday? From Saturday 21st July to Sunday 2nd September, visitors to the Mary Rose Museum in Portsmouth can help build a giant 12x3metre LEGO brick mosaic — one of the largest ever built in Britain. 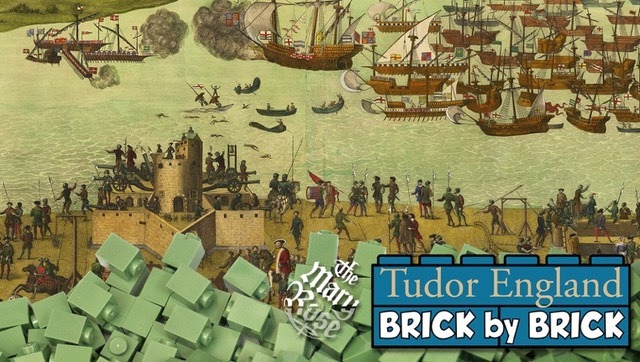 In partnership with Bright Bricks, the UK’s premier independent LEGO brick building company, the Mary Rose want you to help recreate the famous Cowdray engraving of the Battle of the Solent, featuring the sinking of the Mary Rose. This particular LEGO brick mosaic will be based on 'The Encampment of the English forces near Portsmouth Cowdray' engraving which offers an aerial view of Tudor Portsmouth. The fleet of French King, Francis I, can be seen battling King Henry VIII’s ships on 19th July 1545, the fateful day the Mary Rose sank. As the battle wages on in Solent waters, Henry VIII watches from nearby Southsea Castle. Weighing 236 kilos, once finished, the mosaic will comprise 9,218 tiles, carrying 589,924 1x1 bricks. Stacked on top of each other, the bricks would reach a distance of 5.662 km high. That’s just over 3,000 Henry VIII’s standing on top of each other.